There was a time when every bowl was decent. I came up with a disarmingly simple solution to the bowl game fiasco. Require bowls to include at least one team that finished in the CFP Top-30 playoff ranking. That would make a maximum of 60 teams participating in bowls- about half of D-1- and that would never happen because of the amount of teams that play each other, either in the playoff or otherwise. It would really end up being 25 or fewer bowls. I think that's plenty. Don't you? The rankings only go to 25 now, but if all the bowls depended on the rankings I'm sure they could extend it to 30 pretty easily. In a bowl with only one CFB-ranked team then that team would be designated the home team. If they did it with 25 this year, the last "home" team would be USC. By attaching the CFB playoff ranking system to the bowl selection process, it validates both the playoffs and the bowls. Why not extend it all the way down the line to the smaller bowls? I'm sure the Independence Bowl Committee would love to have at least one marquee name instead of Tulsa and Virginia Tech (sorry, Frank Beamer). Yes, this would necessitate throwing out all conference bowl alignments and giving them all straight over to the CFB playoff bowl committee. But so what? 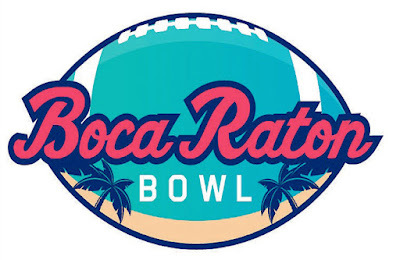 The Rose Bowl is part of the CFB playoff and the Boca Raton Bowl is too good for it? Come on now. Yes, it would also result in some fringe bowls sometimes having games and sometimes not. I would argue that this would make things more interesting. We care about the 68th team that gets into March Madness, why not get a reason for people to speculate on the Quick Lane Bowl matchup? Besides, you know who owns these small-time bowls? There are separate bowl committees in each city, but a little Wikipedia research will show who actually owns the bowls. With the exceptions of the big guys, every mid- and lower- tier bowl is owned by.... well, you know who televises most of the bowls. They own the bowls. That's the reason most new bowls struggle to find a network. Because they aren't owned by that place that owns the rest of them. That's also the reason the Sun Bowl is the only bowl game on CBS. 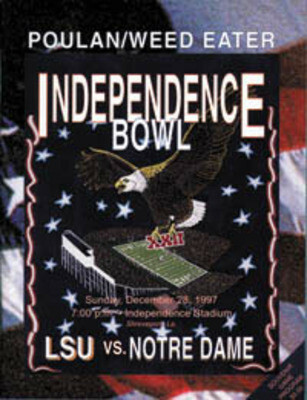 They are the only even semi-major independent bowl. So why not tie all the bowls into the CFB playoff committee? It makes too much sense to me. Maybe that's why it won't happen. But it's worth talking about. Is there any possible reason to care about this game?